Burmese Hair is not a very well known texture,but with how amazing it is, it soon will be! 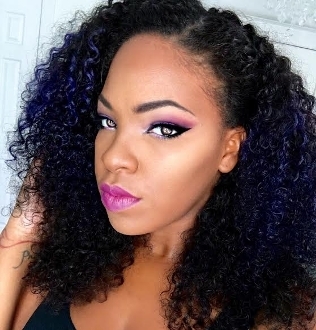 This hair is used diversely between many nationalities because of its softness, volume and full body. This texture is a cross between Chinese and Indian hair.It closely resembles Brazilian hair.Due to its natural density, with this hair, less is more. The curl pattern is steam processed. This will be a high maintenance texture great for intermediate virgin hair wearers. The strands are very thick and extremly soft. It's luster is medium and most bundles come in a natural color 1B.